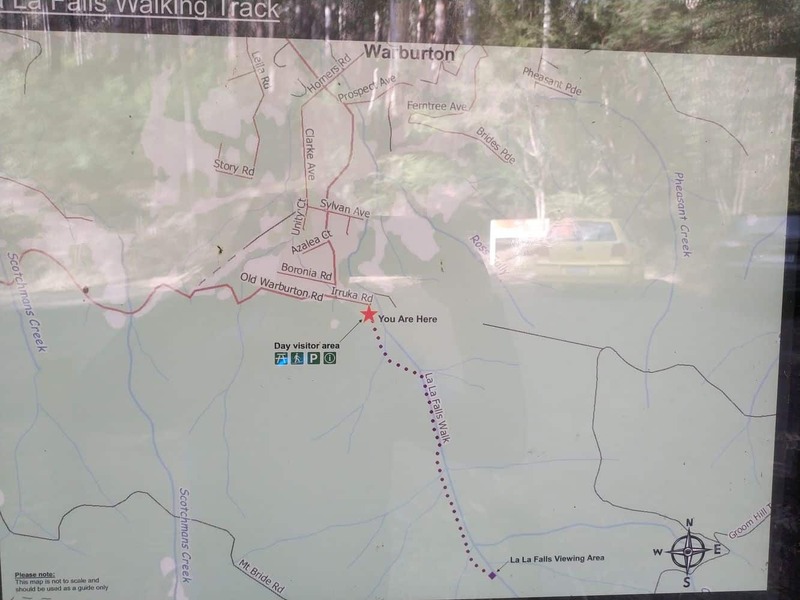 Nestled on the upper reaches of the Yarra River, the scenic town of Warburton is an easily accessible tourist destination from Melbourne. 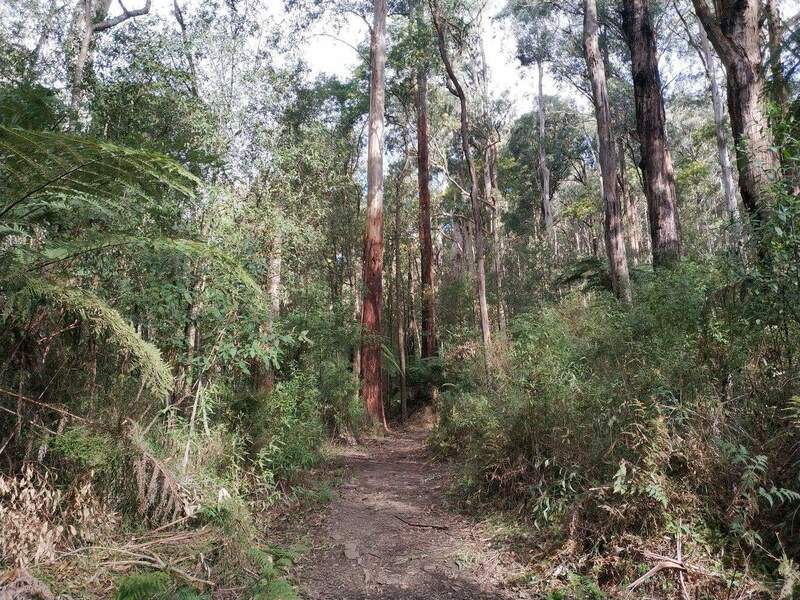 Surrounded by lush pastures and dense forests, Warburton is perfect for those looking for a serene retreat. 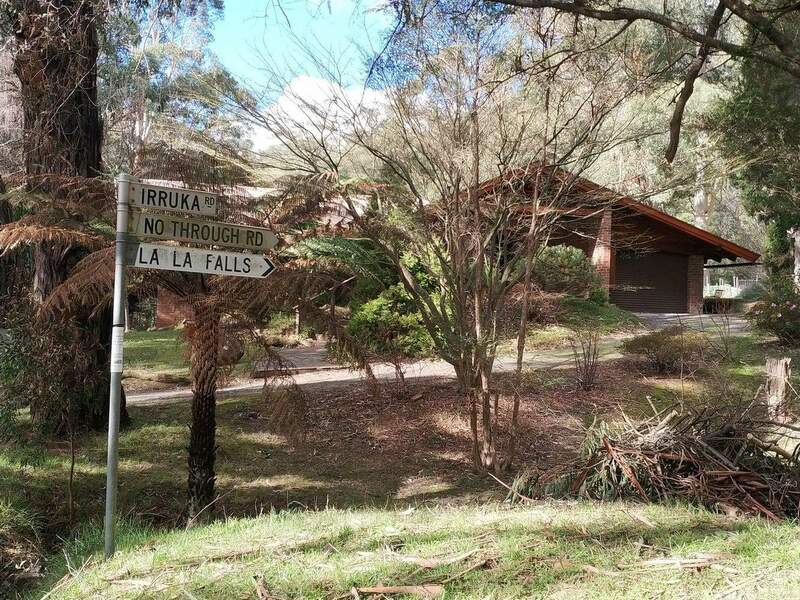 Warburton’s scenic walks and pristine waterways are its major tourist attraction and La La Falls in Warburton is one of the most popular spots to visit. Adjoining a lush forest, La La Falls are a perfect place for spending a day with friends and family. The La La Falls are also popular amongst hikers, as there are a variety of walking tracks around this area. 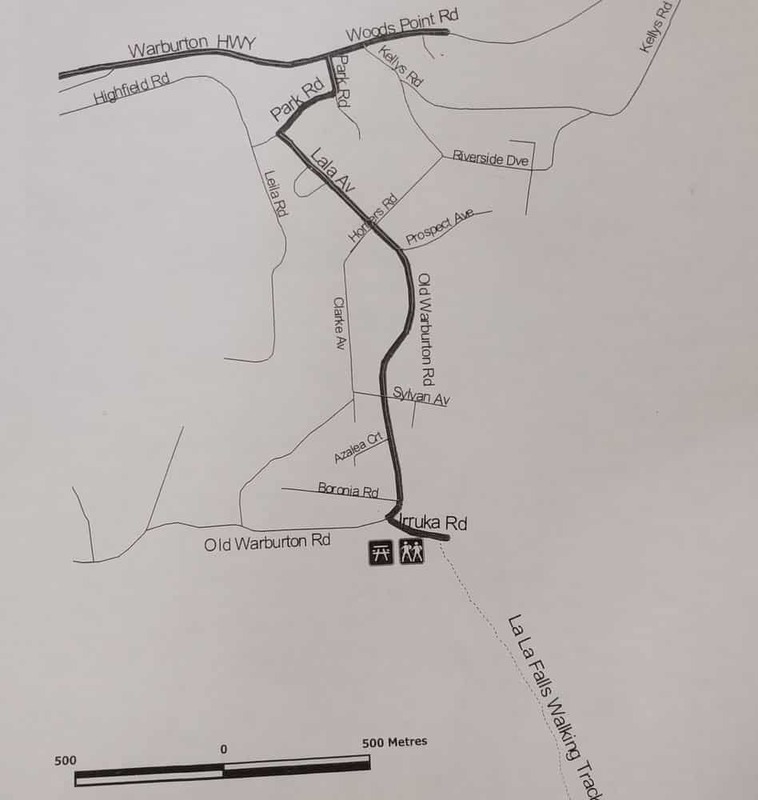 The drive to the walk is only just a short drive from the Warburton Township. 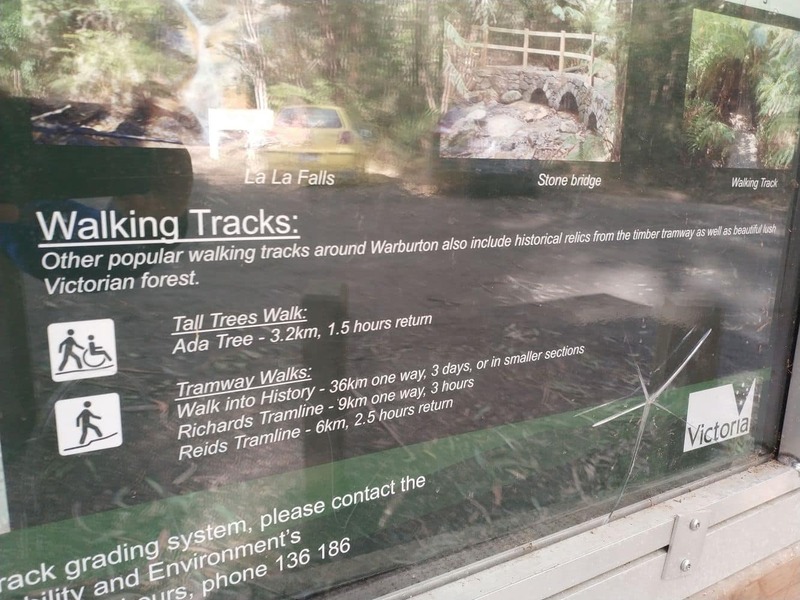 The walk to the falls is approximately 3.2kms and is well signed. The track is graded and suitable for people of all fitness levels as the grade can be classified as easy overall with some slight inclines. Some of the more parts are stony and steep where the easier parts have steps and boardwalks that lead to viewing platforms. 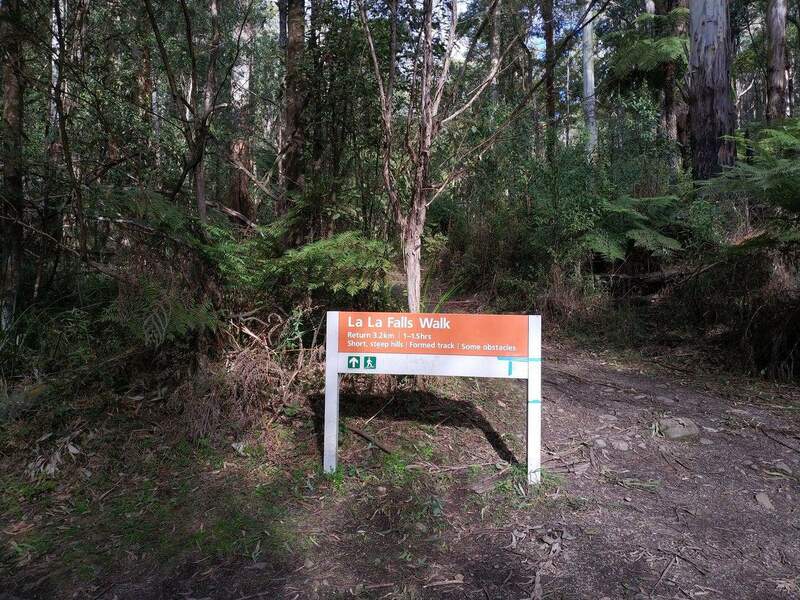 There is a picnic area at the start of the track to La La Falls as well as a carpark. 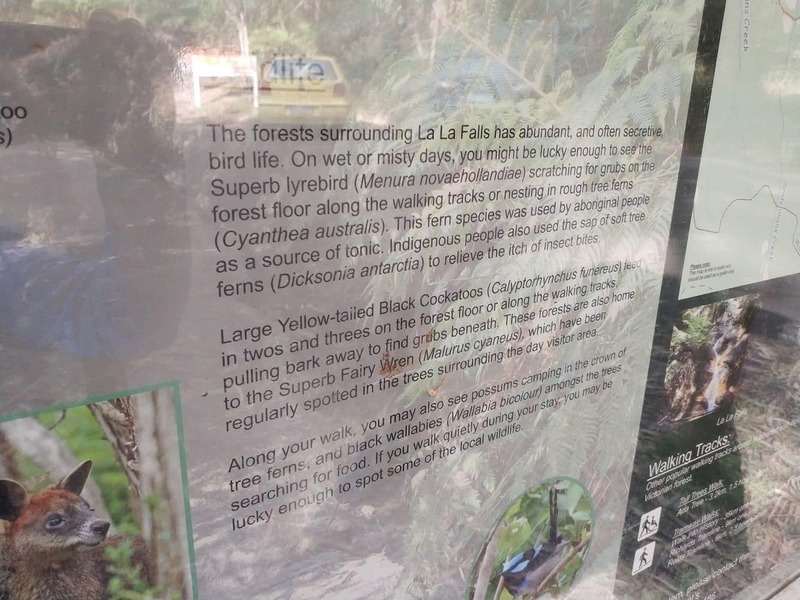 Around this stunning area of La La Falls, you can take a scenic drive to discover the lush forested areas and explore the natural wildlife and various bird species. 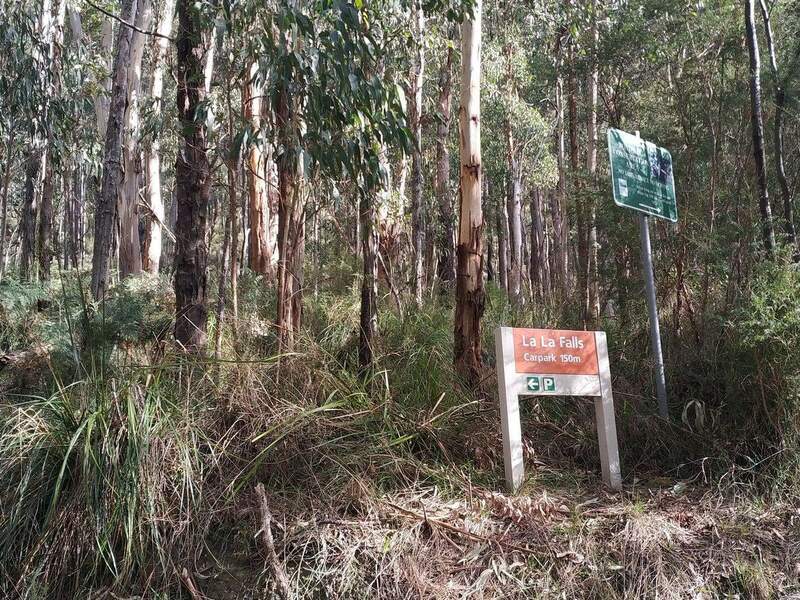 Mammals and marsupials are commonly found here and visitors may spot koalas, wallabies, echidnas, wombats and sometimes the glider possums in their natural habitat. 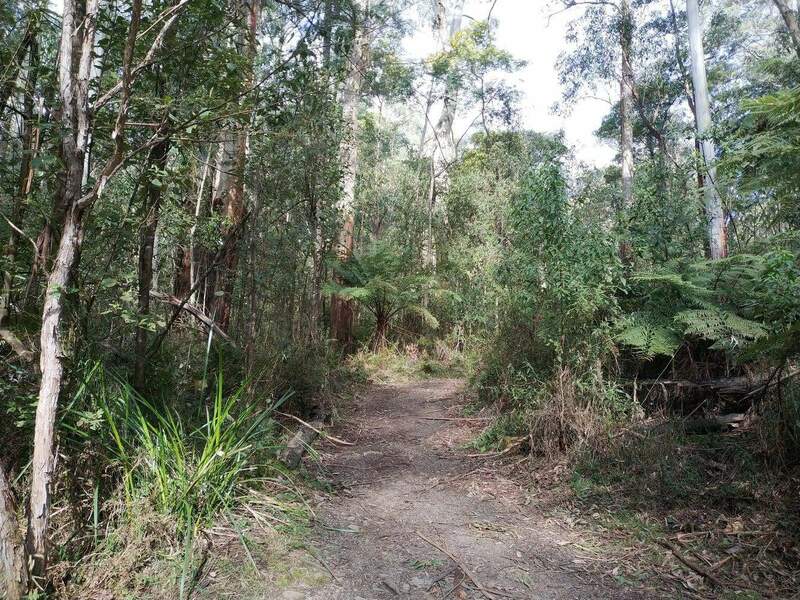 The prolific bird species include a variety of lyrebirds, king parrots and even the crimson rosella. 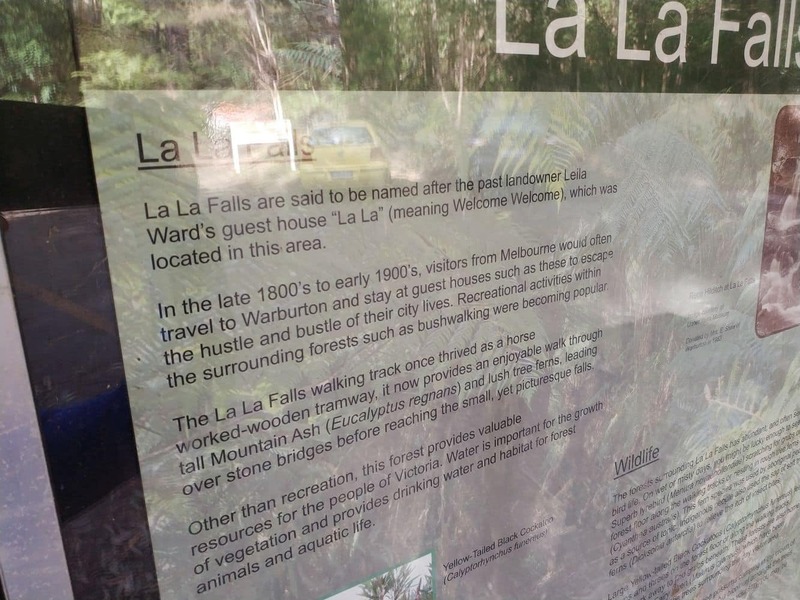 A visit to La La Falls is a great way to spend an afternoon, so come and stay in Warburton today. If you are looking for accommodation in the Yarra Valley, click on the link below for the best accommodation deals. Are you allowed to take a dog on a lead? Reading on other websites, it seems that the consensus is that pets are allowed along the path, as long as they are on a leash. I did take photos of the signage when I was there and can’t seem to find any references to dogs on that, so i would say you’re fine to do so. 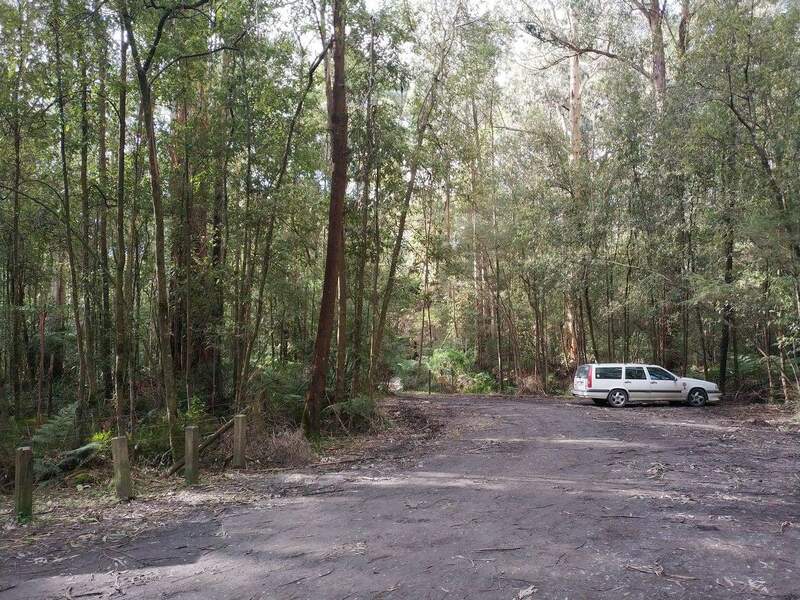 The Department of Environment (Vic) recommends that visitors should camp in an existing campsite rather than create a new one; this is to ensure the preservation of the bush. 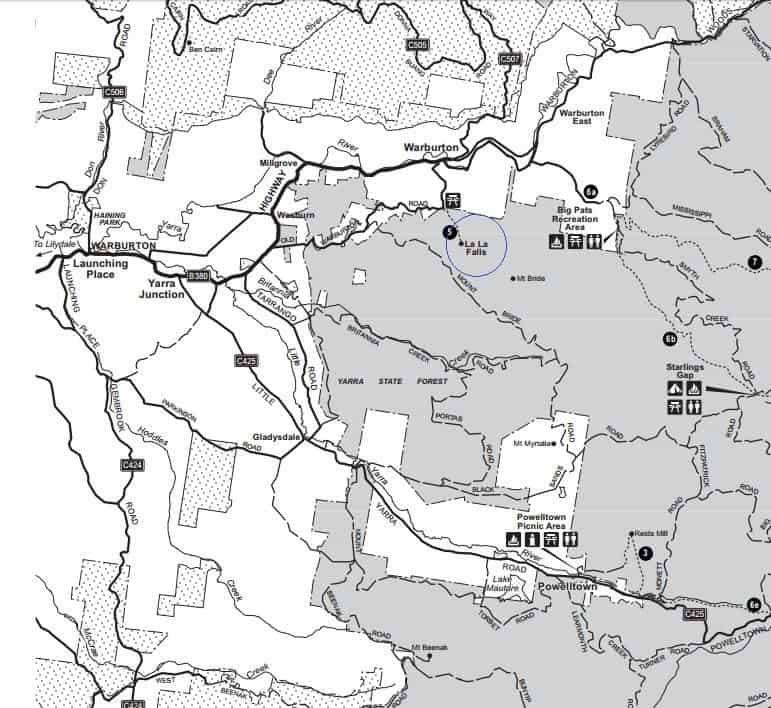 Latrobe River Camping Area and Starlings Gap are the main campgrounds in the Yarra State Forest (but they are around 40kms from La La Falls). Both campgrounds have toilet facilities, picnic tables and fireplaces. 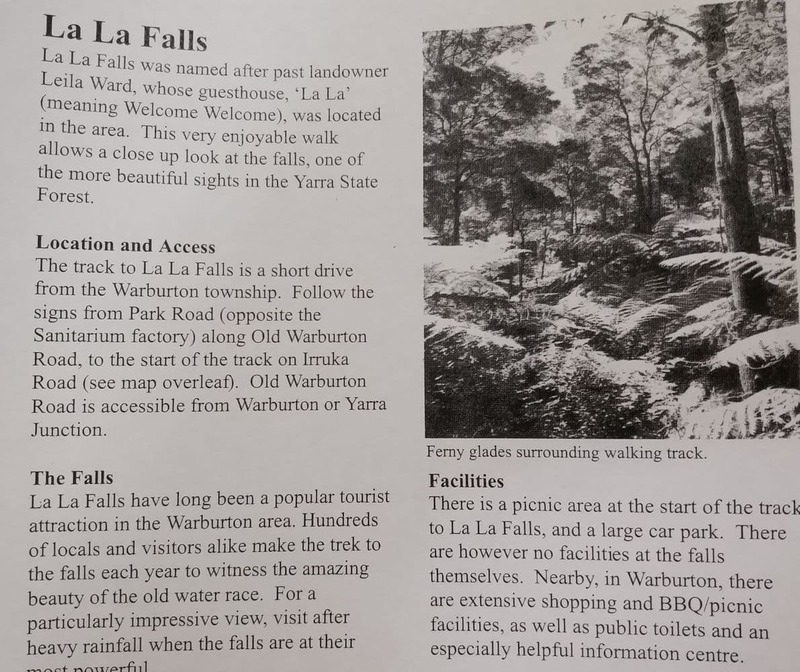 There are no camping sites close to La La Falls, although there is a caravan park in Warburton. 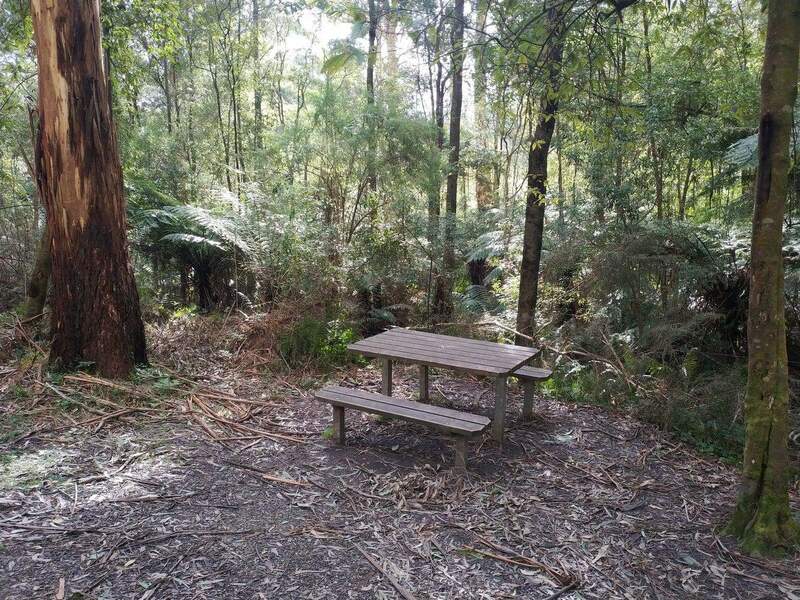 There are also picnic facilities available at the Poweltown, Starlings Gap, Seven Acre Rock, Big Pats Creek, Latrobe River and Ada Tree picnic areas. Here is a link to a park note which may assist you to select a camping location.